Thanks to the generosity of our donors, HeartCry was able to help Pastor German Banda of Lusaka, Zambia with a motorcycle. In his recent update, German explains what that gift has meant to his ministry and expresses his gratitude. “For over 25 years I have suffered knee problems. In 2015 I underwent a successful minor surgery. Before the surgery, I had to preach while seated. Visiting members and making evangelistic follow-ups was not easy for me. Especially in the night, in most cases, I would have sleepless nights because of severe pain in my knee. However, God has always been gracious to me and my family. This year the pain had become unbearable to walk around on personal evangelism, overseeing church members, and follow-ups to regular visitors. On behalf of my family and the church, I am deeply grateful to HeartCry for purchasing me a motorbike. It has been over a month now since receiving the motorbike, and I was telling my wife Gertrude that I have quickly forgotten the pain in my knee. 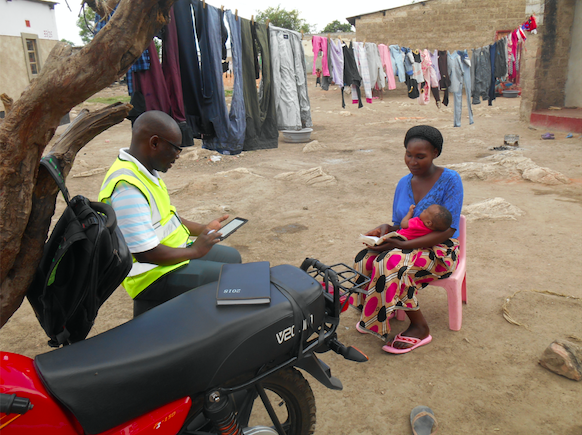 I now visit my church members using the motorbike and all my movements have become so easy. I have become more effective in my ministry than before in terms of personal evangelism, member oversight, and other appointments with non-members. We would like to thank God for His loving grace to provide with me a motorbike that has become very useful in the ministry and has helped me even to cut on the transport costs to visit the six church members who live outside John Laing. Three reside in a township about 5 kilometers away and another three reside about 25 kilometers away. 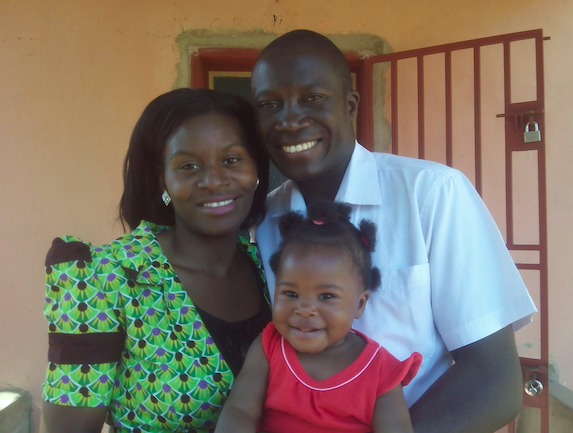 Enock Sakala is one of our most recently added missionaries in Zambia. He is planting a church in Kalomo, a town in southern Zambia. In this article, Enock reveals a pastor’s heart when sheep that seem to be healthy suddenly wander away. 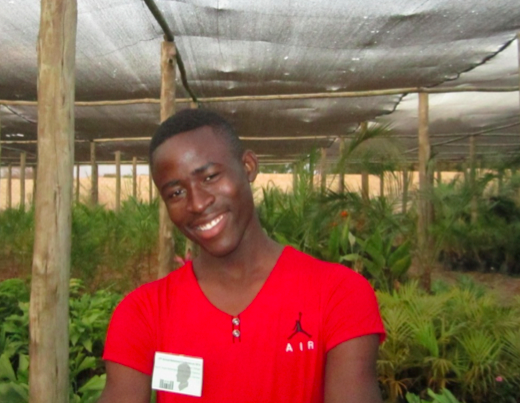 “At 19 years of age, Mike was the first person to be saved when I came to Kalomo. In late May of 2016, Hellen and I were barely a month in marriage and we had just moved into a house near First Choice Lodge, our current place of worship. We decided to go round the neighborhood and introduce ourselves. The very first house we visited is where Mike stays. He was there with two of his friends working on a school science project. After introductions, I can’t remember how but I found myself sharing the gospel with Mike and his friends. At the end of our visit, we invited him and his friends to church, explaining that it was a special Sunday because it was our anniversary service as Hope Reformed Baptist Church turned one year old. True to his promise, Mike came to church that Sunday. Pastor Brian Mutale (former HeartCry missionary) was our guest preacher and preached from Romans 6:23. Mike claims to have been saved in response to that sermon. Prior to that Sunday, Mike had not been to any church for over a year. A year later Mike was baptized in our sending church, Trinity Baptist Church in Livingstone, the very day that I was ordained. Meanwhile, Mike was showing great signs of growth in the faith. My concern, though, was that he had difficulties breaking company with his old ungodly friends. I counseled him regularly on his need to part ways with his non-Christian friends, but he struggled. Suddenly he began to lose interest in spiritual matters. He had been attending our family devotions but then stopped. His commitment to church programs became sporadic and his only excuse was a vague ‘busy schedule.’ Before long he was nowhere to be seen at church. Everyone was concerned but we could only pray that he was safe and that he would come back.